Note: This works in most cases, though I have found one spot with multiple zero length roads (purple dots) together with 4 businesses. In this case each business is selectable and loading bays work, but one business gives 2 businesses on the loading bay, another gives 3 and the third and forth gives all 4. Stop regions continuously showing end sequence for each complete business after all towns done. Note: This is a first implementation which when found and popping will mark that region as complete to not pop the next time. So for the time being, there will still be a pop for each region each time the game restarts. My priority for this update is to give the interface control back to you. If you do a lot of things quickly, then the interface should respond much better and not try to finish old updates. When you do stop, then the rest of the maps and roads should then finish processing. To make the game run much faster there have been quite a few enhancements. Rewrite of the navigator from the ground up. L2 changed the road system from straight lines to complex real mapping including one-way roads, major highway junctions, a huge amount of streets and all those broken roads. This made the old navigation software unsuitable. This software was updated many times but just could not overcome the problems of the larger maps. After lots of experiments a good model was formulated but the code was getting too messy so it was time for a complete overhaul. This is now done and it is now much quicker... like, way quicker. Maps, background rendering and icons. L1 was originally built with three main map layers, which eventually became just two. The background with roads and icons, and the truck animation layer. The two layers didn't work as well with L2 as the map rendering time was much larger. L2 now has four map layers all working independently, enabling even more optimisation into the future. Layer 1. The background. This layer is now rendered in sections to enable more complex background polygon structures with things like background graphics, rivers, lakes, town zones, regions, national parks, golf courses and many other interesting mapping objects. You can also dull or turn off the background making a black "night" mode. Layer 2. The roads. Maps in L2 generally have around 50,000 road segments making lots of rendering difficult. As the map changes over time as it becomes discovered, roads get fixed and/or upgraded, a dynamic rendering approach was still needed. The road system now gets rendered only during zooming, scrolling or change. Also to cater for very large maps, rendering can be done in sections enabling visibility while scrolling and more interactions back to the player to zoom or scroll faster. The look of the roads has been updated to make them more interesting when zoomed in, especially on large intersections. Layer 3. Town and business icons. 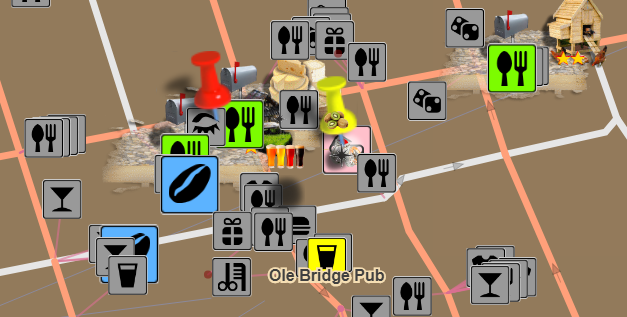 This layer is updated when you click on town/business icons which will change their colour or drag the truck to find all the towns, businesses, roads or industries that need your cargo. Removing this from the road and background layers makes this interaction instantaneous. Layer 4. The animation layer. 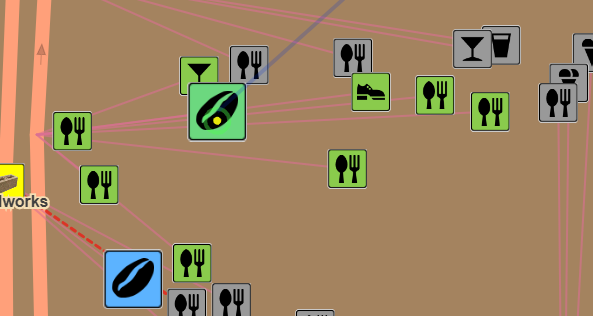 This layer still contains all the trucks and mouse interaction animations but also includes a few additional things, like the mouse over the truck list showing the truck routes. L2 has businesses. Businesses are like mini-towns that don't consume resources when you deliver them, making them a more "casual" part of game play. Businesses started out as mailboxes in Belgium, grew to be businesses in Washington USA and now have more purpose in Suriname and Nevada USA. The BIC is a new method of creating industries in L2. Complete enough of the same group of business types and an industry is built by one of the businesses. Nevada has taken this further by adding more businesses and a mini-game to one of the businesses. Nevada also has a combination of finding industries, creating via the BIC, purchasing the initial ones cheaply, just buying them or buying them via the original upgrade method. BIC visibility: The BIC originally hid all the industries that businesses built until you had completed enough to show what they were. Now all the industries are displayed from the start, so now you know what to aim for. BIC click: Click on the column of the BIC that you are interested in to highlight all the businesses belonging to that group. BIC items: A few items have changed. These changes are global (ie Suriname and Nevada USA). Cycle through Businesses: Click on the left/right (keyboard "," & ".") 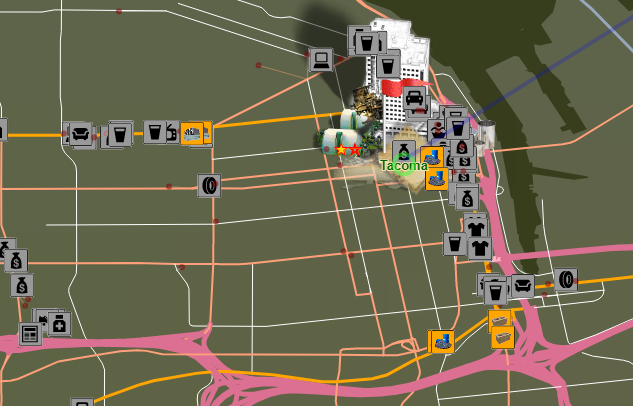 of the business type icon in the business popup to move to the next/previous found incomplete business of that type on the map. Clicking on businesses will now highlight all other businesses of the same business type. Dark Blue: Same as light blue but you have started to complete the business. Green: Business is complete and has built an industry at that location. Orange: Not a business, its a broken road. White and light coloured: These highlight the businesses that need to be complete to unlock a town. Pink: Special purpose business. 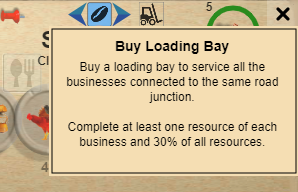 When you click on the business type icon in the business popup you get a mini-game. L2 now has the L1 language translations. Additional language updates are still happening now with many thanks to our great LOGistICAL community and all those that have given their time to make this a multi-lingual game. Languages: L2 has lots of updated translations. Not all are complete but we are working hard on it. Selection: Language is selected by clicking the flag in the top right corner of the first globe screen. Config File: L2 has a config file that now saves your language selection choice, so you don't have to select it each time you play. I have finally gotten around to updating the LOGistICAL web site. There is still a lot of backdating to be done. This web site is now available from the game splash screen and also the game help. There are links on the site to point you to the Steam community pages, the Steam store and also the community Discord. There are lots of updates to make this an even better game. There are still many in the pipeline. Jump on the LOGistICAL Discord to see the full list of everything that has happened, and everything that could happen. High scores now open with a click instead of a hover over. High scores pages can be navigated with the "," & "." keys. Change truck dash to green if speedup is > 8x. Don't allow betting in the casinos if you have no money. Trigger save game when you have played a casino game. Fixed problem where industries that are already built and then upgraded couldn't be bought. Code to remove one-ways from around roads when another close road has reset those one-ways. Added ability to stop upgrade of a top second level road that is being upgraded. Fixed problem when clicking a business type on the BICH screen it was also clicking on the town behind it and changing the selection upon closing. Changed the front page LOGistICAL News to point to an external site. Changed the click on HELP to open the above external site. 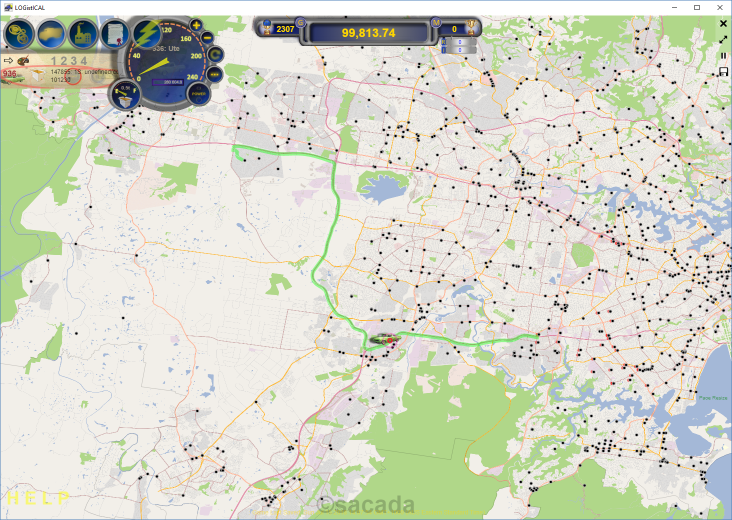 Modified the display of town/business selection process to do by priority and then latitude. Businesses that are locked behind broken roads don't allow dropping of road resources. Businesses that have broken road on lower tonnage road don't allow dropping of road resources. Dim town when dragging a large truck to a small town. Stop achievements popping for a different module being opened. Updated the roads to be thinner when zoomed out. More visibility of roads, etc when dragging the map. Mouse over truck list now show truck routes. 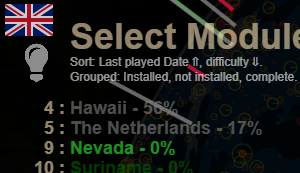 Fixed a bug that locked Nevada on load as it was trying pop a contract from a town not found yet. Turned off ability to drag a truck to the end of a road until I fix some issues with it. Shift "WASD" for faster keyboard scrolling. Thanks to everyone that helped make these updates possible. The testers, the beta players, the translators and all you LOGistICAL supporters. PS. LOGistICAL is on sale at the moment. 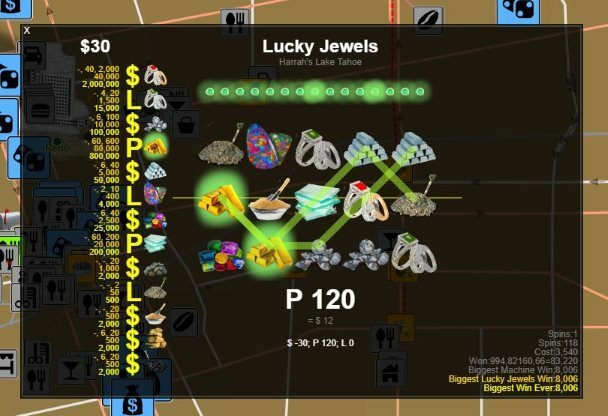 LOGistICAL 2: USA - Nevada is a large open-world, strategy, puzzle game where you transport different cargoes to complete all the towns and businesses throughout the state. LOGistICAL 2: USA - Nevada includes Casinos, Golf Courses, Ghost Towns, UFOs, Hoover Dam and a Gigafactory. Over 100 towns and 5,000 businesses to complete. There are 50 types of business to discover. LOGistICAL 2: USA - Nevada game covers the state of Nevada, USA including cities like Las Vega, Reno, Carson City, Death Valley and many, many more. Fix roads to towns, businesses and throughout the complex road system. Upgrade minor roads to enable 8 ton, 20 ton and much larger trucks to traverse. Roads to towns and businesses are all of the highest quality, so don't need upgrading. 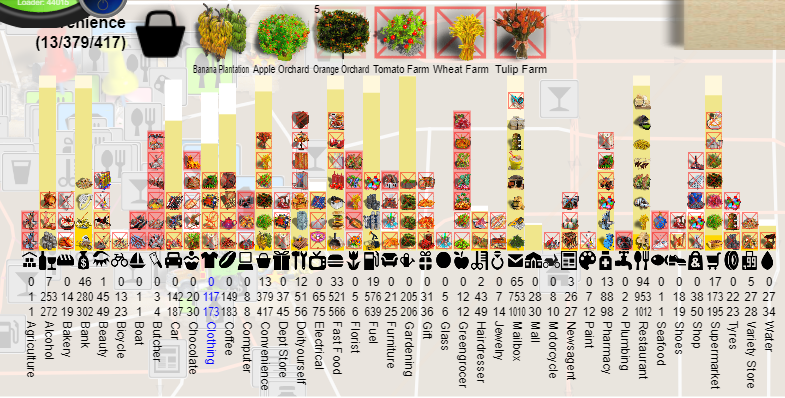 Find some of the industries throughout the map. Upgrade them so you can build your own. Complete enough businesses and they will build industries for you with the "Business Industry Cycle" (BIC). Incomplete towns will allow an industry to be built. Once the town is complete you can build more. The first industry of any type will be super discounted. Buy a gold mine and then complete casino businesses to play the mini-games within the casinos. Change surplus cash into truck boosts. New businesses include Casinos and Golf Courses. Unlock towns by completing surrounding businesses. Businesses now have a static score this is not based on trucks sizes or amounts. 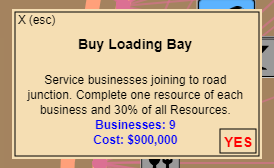 Complete businesses to gain truck boosts. Truck boosts include a super speed multiplier. Every 5th completed business/town starting with the 4th business (ie 4th, 9th, 14th, 19th, ...). Many, many other small and large puzzles and situations to complete. A minor update to fix a problem with the tutorial not working on LOGistICAL 2 modules. Also a nice fix to simply to selection of roads to upgrade. Click the "Upgrade Roads" button or press "B"
Cancel upgrade icon changed to an boxed "X"
There are various fixes in these past few patches. Most significantly in this release build is a reduction in the size of the large businesses within LOGistICAL: Suriname (Xmas 2018). Current high scores achieved will be retained. There is also a few past fixes that helped finalise modules that disappeared are back (eg. highlight of the last 2% of businesses per region). The Business Industry Cycle Help (BICH) has undergone updates. - Fix a load error when there is no destination town for a truck (ie at end of a road). - Fix some areas in Suriname which didn't join the central road matrix (there are still a couple to fix). Quite a few small updates to make the interface smoother. - Purple industries show on industry select. Crimson for your own industries. - Industry popup mouse down now shows auto-industries as purple dots and own industries as crimson dots. - Fixed lockup when industry button clicked when BIC is open. - Thicker line on the business driveways when zoomed in. Thanks to everyone that continues to support LOGistICAL. The game has grown and expanded over the last year, and there are now many modules with very different game-play. I will continue to support this game as best I can. I am in the midst of joining LOGistICAL 1 (L1) and LOGistICAL 2 (L2). The L2 launcher is partly complete and is now pulling data from the high score tables. I am now working hard to make sure the high score tables correctly reflect your actual counts and scores. Getting close. Enough of that... onto the gift. Suriname is the smallest country within South America. It has been suggested as a module for a long time by an enthusiastic player. The country is mostly jungle, so there are lots of settlements to do. This gift is now available within the launch globe of all L2 games and I am working hard to try and get it into L1 games (though it will be a while). There are a few contracts to help you get started and explain many of these features. - Stopped L1 modules from loading from the globe until I get them working properly. - Set all roads of length 0.01 or less to be made to take 100t trucks, so no upgrading needed. ... caveat on this fix is that most of the roads are currently residing in the one region within the backend data. This is due to the L1 having each road joining a town and the town providing the region. L2 now has many roads that don't join towns and therefore are not mapped to their region. I do have a database fix for this, but haven't yet coded it into the game. - One way roads on 8t and less roads removed when upgraded. - Toggle "M" key to show where failed navigation tried to find a route. Red, green or blue dots (as per the route colours). - Fix for doing multiple nodes in a row (eg, a series of road upgrades). - Fixed a problem where the new upgrade materials don't always show. - All found businesses that have a resource that has just been discovered or built (as an industry output) now show immediately on the map. 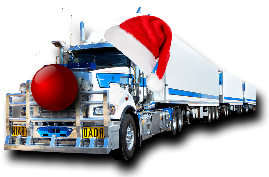 - Fixed missing truck error. - Found and fixed errors associated with upgrading the road to a town. - Ability to "undo" a road upgrade. - Created new industry logic and code for Suriname. - Created discount industry price logic for future modules. - Created new cargo size limits for Suriname. - Added a smaller road size in Suriname. - Added an indicator in the town popup of the maximum sized joining road. 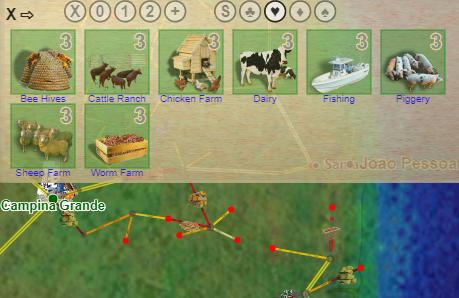 - Added a orange square with resource type for towns locked by broken road. - Fixed road upgrades that didn't work due to attribute that wasn't being updated. - Fixed town that has upgrade road going to it to work once reloaded. More testing during play. - Mailbox at same location as Berlare moved a fraction so they don't overlay and you can't complete the mailbox if you did the town first. - Click on resources of complete towns caused hanging in USWA. Fixed. You can now upgrade roads. Press the "B" key to turn on/off road upgrading (will be a button soon). Hover over any road less than the highest level motorway. It will show red. Click on the road to upgrade it. The road will become broken until you supply the resources to finish the upgrade. There is a discount if the road being upgraded joins a larger road than the current one. The closer the road size to the current the better the discount. A few more updates to the Washington, USA map module as well as updates on the new multi-thread navigation code. A lot of updates for LOGistICAL 2 with further plans for more integration with LOGistICAL 1. LOGistICAL has to perform many complex navigation calculations during game play. Unlike any standard GPS unit, LOGistICAL also has to cater for broken roads, varying truck weight restrictions, quarantines and many other factors. Many of these are also changing very often as the game progresses. The new navigation works as a multi-thread process so no longer locks up the user interface when working out complex routing over long distances. The navigation system can be turned on and off in the game settings until it becomes the only system within the near future. Using the navigation system is no different than before. 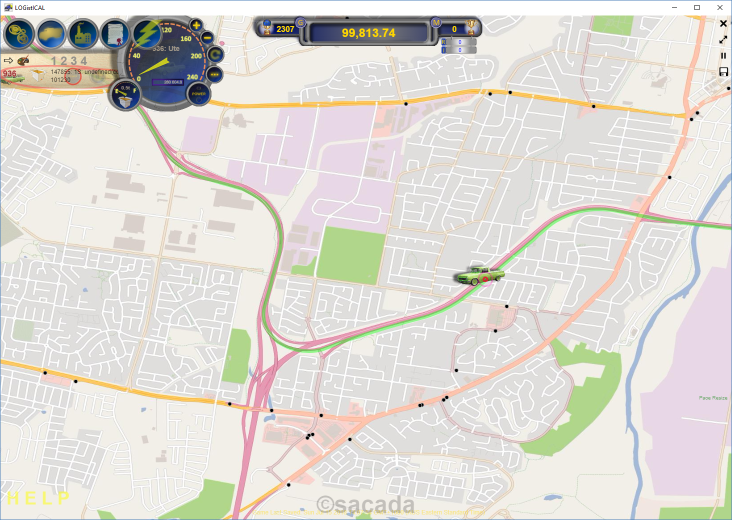 Drag a truck or resource onto or across the map to initiate the navigator. 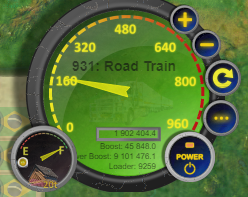 To indicate what is happening, the background of the truck on the truck list turns blue while the navigation is being computed. If there are no spare threads running and empty, an initialisation process is run and the new thread is prepopulated. Within the thread, the navigation between the source resource and the destination resource is calculated. This calculation is completed first as this is the integral trip where most restrictions are applied. If this trip is successful the return trip is then calculated as one way roads and empty travel allowed on more road may create a different route. Finally the trip from the truck's current location to the source resource is calculated. If all three are successful, then the resulting routes are returned to the main game for that truck and the truck begins its journey. The three navigation routes are now shown on the map. - Blue - The trip from the source resource to the destination resource need. - Green - The return trip back to the source resource. If there are multiple trucks selected then after each process all trucks of the same size (laden or empty) are also given the same routes without any extra processing. This speeds up the whole process. If the other trucks are at different current locations these are all process one at a time and returned to the trucks with the other routing data on each is completed. I have quite a few enhancements lined up to make this entire process faster, more accurate and also provide a suite of tools for routing to groups of businesses much better and faster. - Ability to switch between old and new navigators in settings. - Cancel X in new navigator on truck list and truck dash. - A couple of road fixes in LOGistICAL 2. - Fixed up a few minor issues with the multi-thread navigation. - Broke a few ferry routes. - Display of region titles not changing colour when finished is now fixed. - Cleanup of multi-threads on game exit. - fixed a ferry route that couldn't be accessed. - Found and fixed an error that occurred sometimes when loading and not displaying all trucks. - Mouse over towns sometimes not bringing up resource needs. Happens if you drag a truck before selecting a town. - A couple of roads that can't be fixed if done in the wrong order have been removed. LOGistICAL 2 is now officially released. This is now the new base game for the LOGistICAL group of games, though you don't have to start here. There is a 30% discount (plus another 20% bundle discount for those that have the lot #) for the first week. There are a lot of new enhancement in this module and I am still working on more that should be released over the next few weeks/months/years. "Over 500 towns, 2,000 mailboxes and 9,000 other businesses to complete. There are 50 types of business to discover." - 50 types of businesses. New businesses start out as dark red dots on the map until you find at least one industry that can supply them. Businesses have extremely low requirements and don't consume resources like towns. 1. broken roads to the towns. Many towns can't be accessed until the broken road to the town is fixed. 2. broken roads to businesses. Like the town broken roads but orange squares on the map. 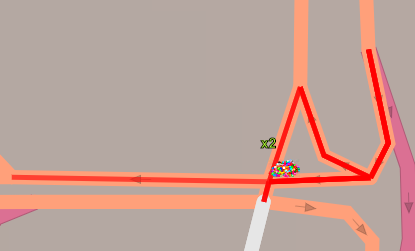 3. broken roads throughout the map (orange squares). There are many broken roads throughout the map. Many will stop you from searching parts of the map. To assist in fixing broken roads on one-way roads, the one-way roads leading up the the broken section get turned off until the repair work has been done. BE CAREFUL: That last truck load will fix the road and turn the one-way section back on. This can sometimes lock your truck in if there are further repairs required to fix that road. To unlock a town you now have to complete the number of businesses within the comet circling the town, that is written on the lock. Some towns give a head start, so you only have to finish the number on the lock out of the number in the top right corner of the lock (eg 10 out of 15). The black section of the circle on the lock represents what you don't have to do, while the increasing red shows the ones you have completed. In this module you can buy Storages in any of town (completed or not) right from the start of the game. There is a limit of 1 storage per town until the town is complete. The storages contribute to the total number of industries that you can build in a completed town. - "?" over industry inputs if you haven't found an industry that supplies that input yet. - Integration of LOGistICAL 1 and LOGistICAL 2 modules with a launch module and integrated save system. - Navigation through a maze of broken roads can be complex. I am working on multi-threading for the navigation system so the game doesn't pause when doing long distance or impossible access destinations. 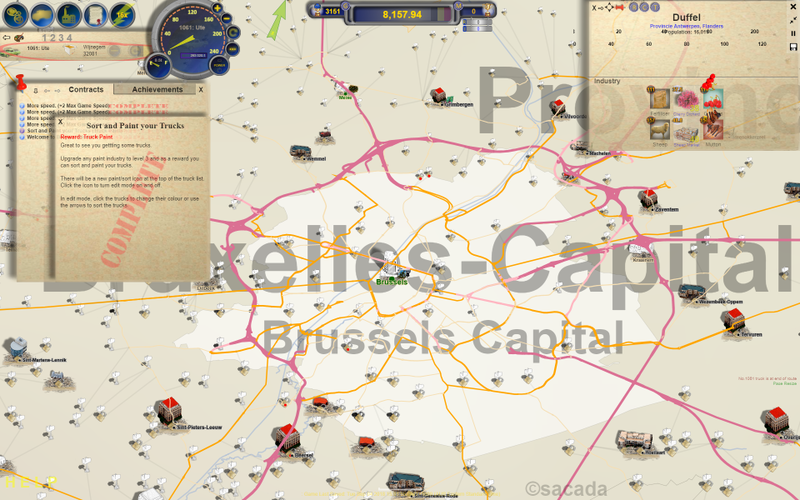 LOGistICAL 2: Belgium is the first release of this new series, continuing on the slow mapping of the planet. LOGistICAL 2 has had a major rewrite of the core engine. Instead of having towns across the map joined by roads, there is now a comprehensive road network with towns sprinkled throughout. You can play on a white or black background, or anywhere in between (see the map slider in the game settings). LOGistICAL 2 has its own save game. It is once again small and saves quickly. Booting LOGistICAL 2 will jump straight into playing Belgium. You can still load any LOGistICAL 1 game from Steam and play at the same time as LOGistICAL 2. I have written a launch module to integrate both LOGistICAL 1 and 2 which will be released once more testing is complete. The LOGistICAL 2 road network is based on live data with most of the major and secondary roads throughout the country. LOGistICAL 2 now has 100 times the amount of road segments as before. Belgium has over 50,000 road segments. Trucks follow the curves of the roads and also obey one-way directions. You may find your truck heading in entirely the wrong direction to find its way out of a one-way road system. Of course the engine and navigation functionality had to undergo a huge revamp. Initially it would take minutes to find the fastest route across half the country. Now it takes a fraction of a second to navigate the entire country. A lot of Belgium's towns have broken roads leading up to them from the road network. They need to be fixed for the trucks to be able to get to the town and subsequently "complete" the town. In order to get to the town and road fix area, the entry way to each town is selected if the town can't get approached. Mailboxes work the same as towns, except they have very small resource needs (usually only one or two and less than two tons each). Unlike towns, mailboxes don't consume resources, so you can complete one resource and finish the others later. Mailboxes also hold the keys to locked towns. Within the mailboxes of a town's region is the " Key to the City" for that town. Complete more mailboxes to find the keys. Note: I will be releasing a "hint" mechanism to help find those keys over the next few days. The testers and I are now reasonably comfortable to release LOGistICAL 2. The testing over the last week has been extensive with many changes and updated requests to make the game play better for you. There may be a few more smaller updates over the next week to fix a few minor issues. Hopefully no major ones. Thanks to the many players that support LOGistICAL and look forward to your feedback on the new new style and gameplay. PS. Full patch notes will be published soon. An update to the interface and a few other things. An updated routing algorithm that finds the quickest path. - Easier to drag trucks to industries in crowded or zoomed out modes. 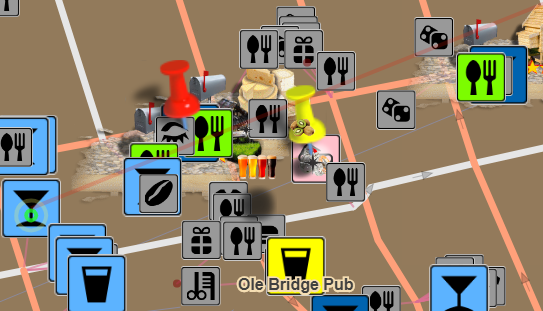 - Removal of lots of town icons showing when finding a resource for town input. - Fixed issue where resources weren't cleaning up upon game exit stopping a new instance of the game being launched. - Fix for Russian, French and Italian not showing for some of the newer industries and resources. A few updates to stabilize the new architecture build, plus some other stuff. - Update for planes in Caribbean that were not detecting the airport. - A new contract in Brazil (Amazon Oil). - There was an increase to the cost to fuel. This has been rectified. - Game wasn't always exiting gracefully which could make it difficult to reload. Added a fix for this. An update to get the keyboard shortcuts functioning (WASD). - Update to algorithm to find towns in large clusters of towns. A couple of updates over the last week. First one that went out this week was an update to the redistributables, so there was no change to the game. This new update has one major new change and a few smaller issues addressed. It will go out slowly across all servers over the next 24 hours. - Change of backend architecture to LOGistICAL for preparation of LOGistICAL V2. This is the main change of this build. In summary, LOGistICAL: Version #2 will be based on more detailed mapping data. Roads will be intricate and "towns" will be more closely constructed out of actual shops, malls, industries and land use, etc. The gameplay will continue to be similar and evolving, creating many new and interesting modules to play. So far each LOGistICAL module has been designed with towns and then connecting the towns with roads. This new architectural model now has an infrastructure of roads with towns sprinkled between them. My first example test build includes 1,400 "towns" and has over 26,000 road segments with around 150,000 nodes. Each node is either a town, a road junction or a bend in the road. Due to this large change, the routing algorithm had to undergo a massive change and optimisation. Using the old algorithm would take minutes to compute routes, but the new one is instant or just seconds across the whole map. This new algorithm is backward compatible so you will be able to enjoy the routing benefits in all current modules, especially the larger ones like LOGistICAL: Russia. As you can see from the images, I have also changed the graphics. I am still working on that. There will be many changes in the near future, but what I want to continue to do is to make the system work for all the current modules. So far, so good. Thanks everyone who continues to support and purchase the LOGistICAL games and give me the opportunity to continue to build more. A few updates to all LOGistICAL servers covering some new changes both front and back end. - Filter for industries by 1. number of inputs or 2. type of industry. - End of the road of non-discovered towns shows as red dot. P = to cycle through pins. O = for pin off. - Fix for low priority messages not showing up. - New speedo for high speed vehicles (2x and planes). - When dragging trucks over the map, tint the town popup the colour of the town that is being hovered over. - When dragging trucks over the map, darken the town popup for towns whose roads all smaller than size of truck. - Changed the truck boost amounts in the truck shop to "M" and "k" for large amounts. - Close the truck list down when selecting a different town. - Fixed the two achievements that were popping too early from popping too early. - Stopped depots from having industry purchasing power. - Fixed another problem with the "low priority" messages closing, or not closing. - Region Summary (click right side trophy): Fixed truck IDs. - Region Summary: Added "SOLD" after truck if truck was sold. - Depots at end of roads not triggering the "visit" if no one ever went back to the depot.